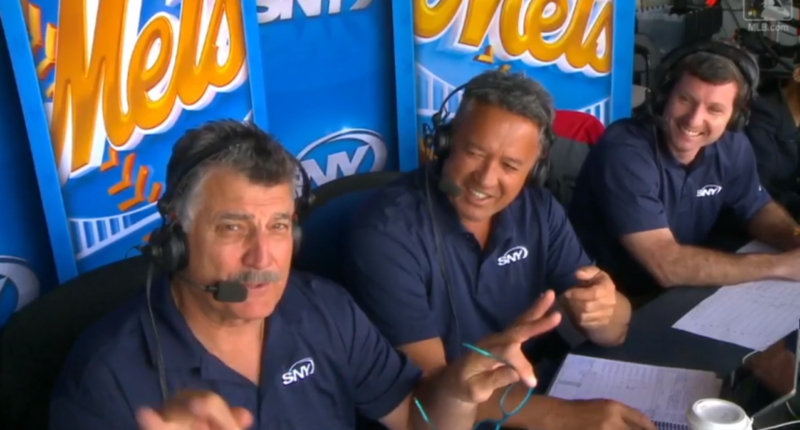 Ron Darling giggling is worth the price of admission. Spring training is a more relaxed atmosphere for baseball. That goes for the players and coaches and fans, of course, but it apparently also extends to broadcasters. If you need evidence, let’s take a look at Wednesday’s Grapefruit League game between the Mets and Yankees, when the broadcast team was interrupted by what at first sounded like a horror film music cue. Darling: What’s going on there? Hernandez: It has nothing to do with popularity, trust me. Those three rings? I don’t want anything to do with them. Darling: Midseason form, here we go. Any guesses on who was calling? Maybe Jerry Seinfeld, asking Keith to help him move? Hopefully, Hernandez discovers the vibrate setting prior to Opening Day.